The letters of Paul to Timothy, one of his favorite delegates, often make for difficult reading in today's world. They contain much that make modern readers uncomfortable, and much that is controversial, including pronouncements on the place of women in the Church and on homosexuality, as well as polemics against the so-called "false teachers." They have also been of a source of questions within the scholarly community, where the prevailing opinion since the nineteenth century is that someone else wrote the letters and signed Paul's name in order to give them greater authority. 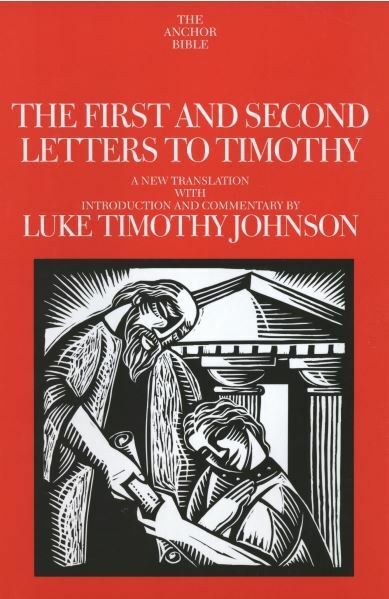 Using the best of modern and ancient scholarship, Luke Timothy Johnson provides clear, accessible commentary that will help lay readers navigate the letters and better understand their place within the context Paul's teachings. Johnson's conclusion that they were indeed written by Paul himself ensures that this volume, like the other Anchor Bible Commentaries, will attract the attention of theologians and other scholars. Luke Timothy Johnson is Professor of New Testament at the Candler School of Theology, Emory University, in Atlanta, Georgia. He is the author of The Letter of James (Anchor Bible) and of the bestseller The Real Jesus, as well as other books and numerous articles on the New Testament.